The first Pane Vino and San Daniele restaurant to have brought..
Campo Santa Margherita, 2978 – Venice. Tel. 0412440272. Opening Hours. From Mon. to Sat. from 8 am to 01 am. A magazine that provides all sorts of useful information for those who are heading to Venice and want to discover the best cultural offers available. 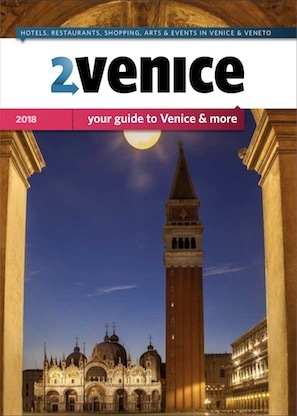 2Venice kicked off in May 2009 and continues to be an up-to-date tool which ensures you are in the know as you stroll through the city and surrounding areas. Hotels, restaurants, shops, bars, fairs, events, tours, culture, exhibitions and all the best of Venice and the Veneto in both Italian and English. 2Venice is published in a neat pocket-sized format, easy to consult with striking graphics.